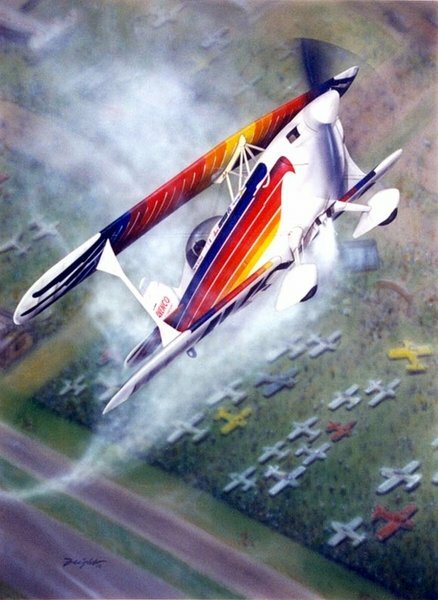 This colorful print is a tribute to the late Charlie Hillard in his famous Christen biplane. With Charlie in the lead, the Eagles flight demonstration team thrilled millions over the years with their precision formation aerobatics. Thanks for the memories Charlie! A limited number of these prints signed by Charlie's Eagle teammates Tom Poberezney and Gene Soucy are available for $80 + $7.95 s/h.